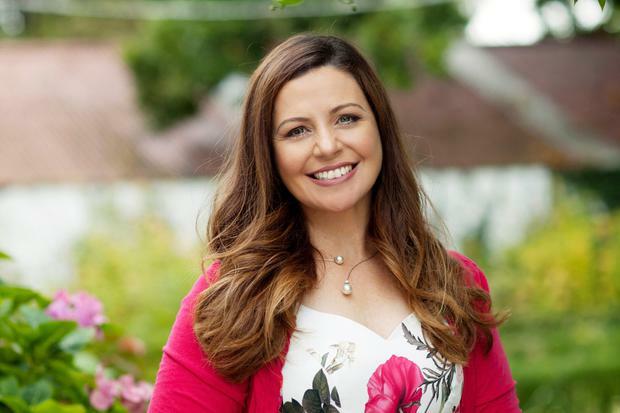 Irish chef Catherine Fulvio has been nominated for a Daytime Emmy Award for her six-part series 'A Taste of Ireland'. Fulvio, of Ballyknocken House and Cookery School, is competing against Giada De Laurentiis, Valerie Bertinelli, Molly Yeh and Pati Jinich for the Outstanding Culinary Host award. 'A Taste of Ireland' aired in the US earlier this year and was produced in collaboration with Emmy award-winning producer Lisa-Renee Ramirez. "I'm honoured to be included in this prestigious list of nominees alongside some of America's greatest culinary hosts," she said. "It's such a privilege for us here at Ballyknocken Cookery School to have the opportunity to showcase the best of our locally grown and artisan-produced ingredients to this huge US audience." Also among the nominees is Irish animation 'Angela's Christmas', which was produced by Brown Bag Films and based on Frank McCourt's only children's book. It is in the running for three awards, including Outstanding Performer in an Animated Programme for Ruth Negga - who voices Mother - and Outstanding Writing for an Animated Programme for Will Collins, as well as Outstanding Sound Mixing for Damien O'Connor. "The animated film was developed and produced with funding from Screen Ireland and showcases the excellent work of the Irish animation industry," said Screen Ireland CEO James Hickey. Also co-produced by Brown Bag films and Disney Junior, the animated series 'Vampirina' is up for two awards - Outstanding Sound Mixing for a Preschool Animated Programme and Outstanding Sound Editing for a Preschool Animated Programme. Winners will be revealed at the Creative Arts Daytime Emmys on Friday, May 3, and the main ceremony will be held in California on May 5.